Well, I’m no longer a virgin—I have received my first official rejection letter. She was nice about it, and everything; we aren’t a good fit. Plus, I evidently have cooties (see below). And with that, I can now probably call myself a real writer. I have joined the hallowed ranks of, well…every would-be writer who has been told no. 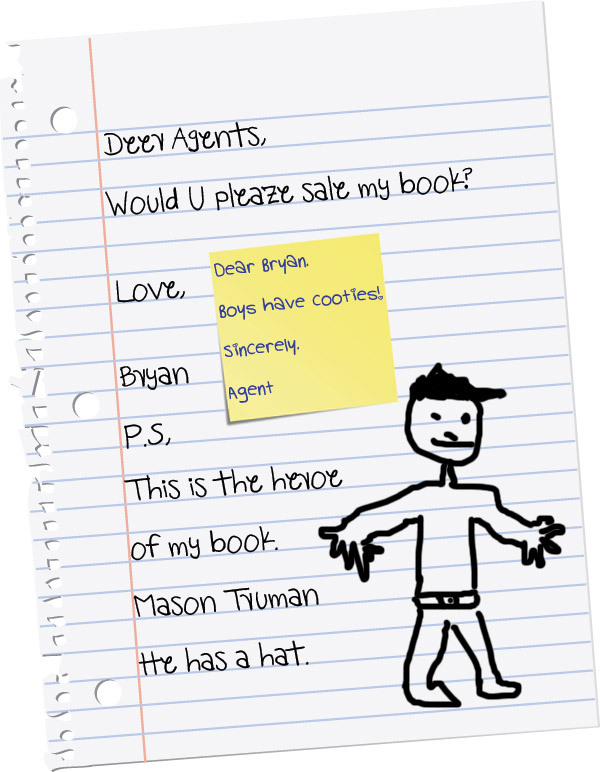 As I blogged last week, this was my first query letter to an agent. Getting an agent is a long slog, and I’m moving on to the next set of query letters this week. Wish me luck! Image made with additional help from Shutterstock. This entry was posted in Blog by Bryan Chaffin. Bookmark the permalink. Love the photo. About seven and a half times the artistic ability I posses. Bryan, Your mother is so proud! I’m pleased to see all those art lessons and honors English classes paid off.